1. Season tilapia slices with salt and pepper then coat with cornstarch. Fry until gokden and then set aside. 2. Stir-fry onion, ginger and garlic in about 2 tablespoons oil. 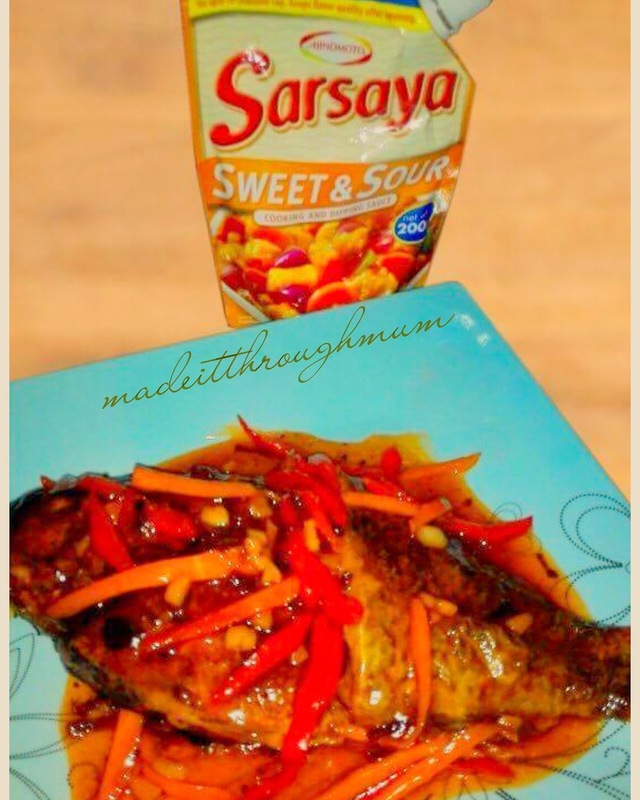 Pour SARSAYA Sweet & Sour Sauce and add water. 3. Add bell pepper and simmer for a minute.